Weddings are fun at any time of year, but there’s something special to me about Fall weddings, when the air is cool and the scenery is so beautiful. 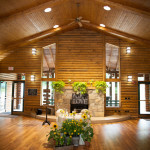 The Mayernik Center at Avonworth Community Park provided a beautiful backdrop for Julie and Brian’s ceremony and reception on one of the most beautiful days of the year. Their ceremony was held outside with rustic, custom-made doors as a backdrop. Guests then enjoyed cocktails, dinner and dancing in the main building. Julie and Brain planned for a day that gave them lots of time to enjoy with their friends and family. Guests were treated to great food, amazing cupcakes and some wonderful music. 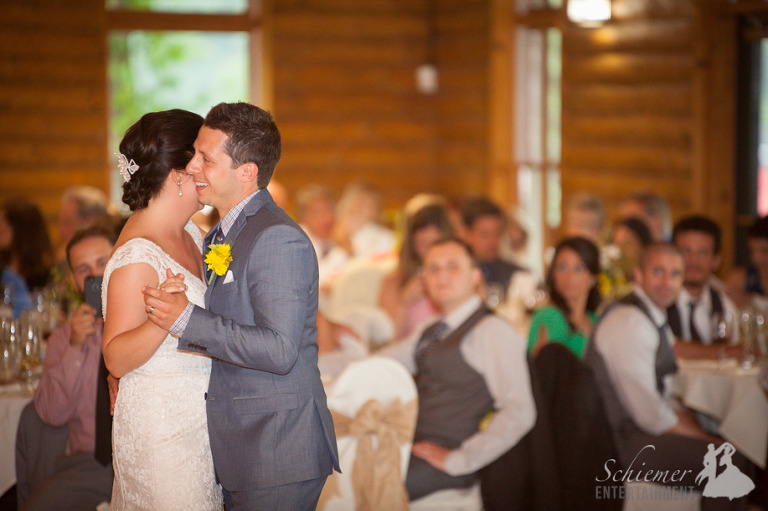 As we started a new season of the year, everyone enjoyed an unforgettable day celebrating the newlyweds life together. 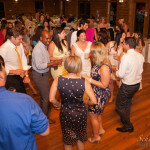 One of the most touching moments during your reception can happen during the toasts. 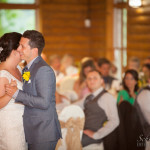 While some toasts are comical and/or embarrassing, I love seeing when people use the time to share special thoughts or feelings with the newlyweds. 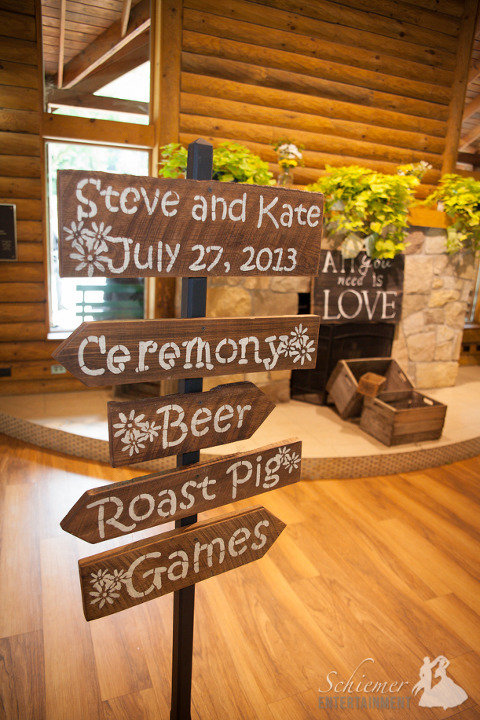 Kate and Steve’s wedding at the Mayernik Center featured 2 special toasts which no one will forget. The first toast was given by Kate’s father. He did a fantastic job welcoming all of the guests who had come to celebrate with the newlyweds. Afterwards, Steve provided a touching and heartfelt speech which was an amazing way to show his love to his new bride. Later that evening, while it wasn’t exactly a speech, Kate and Steve’s friend did an amazing job performing 2 songs for the happy couple. 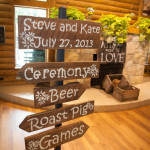 Kate and Steve created a completely unique playlist for their special day. 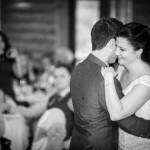 Their song choices included New Orleans jazz (cocktails), Motown & standards (dinner) and a great selection of classic rock and modern hits for guests to enjoy while visiting, dancing and celebrating. 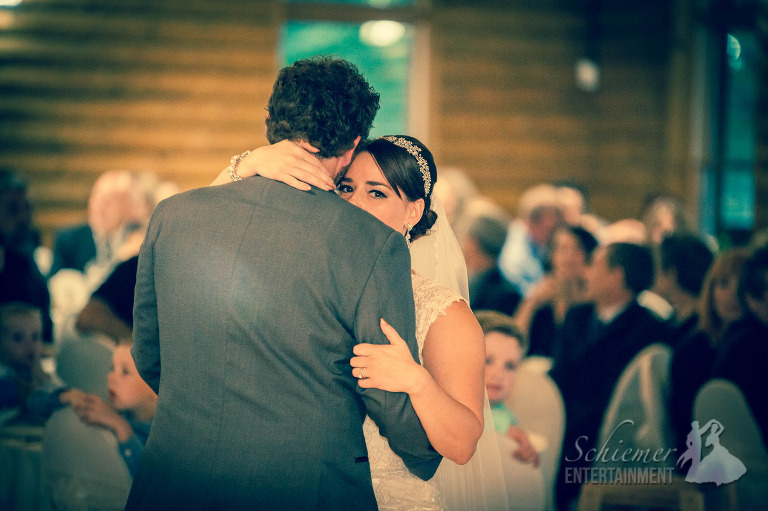 All the special moments and music added up to a romantic, sweet and wonderfully fun day for everyone. Another DJ told me once that he felt all receptions were the same. Clearly I couldn’t disagree with this statement more, and as evidence of this I can present hundreds of examples. 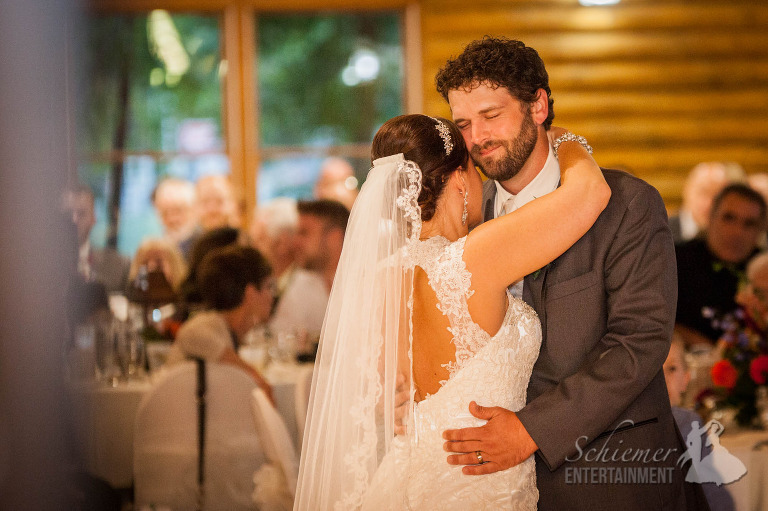 At the top of the list would be the reception of Erin McNeilly and Andy Voltz at the Mayernik Center outside of Pittsburgh, PA. 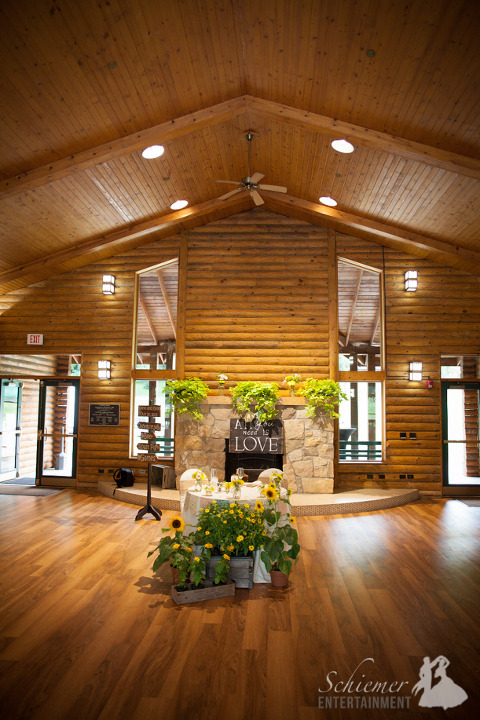 The Mayernik Center is located at Avonworth Community Park, and is a beautiful log cabin style venue. This made for a beautiful setting for Erin & Andy’s special day. One of Erin’s bridesmaids made the most unique cake I’ve ever seen, featuring clouds and an amazing sunset. 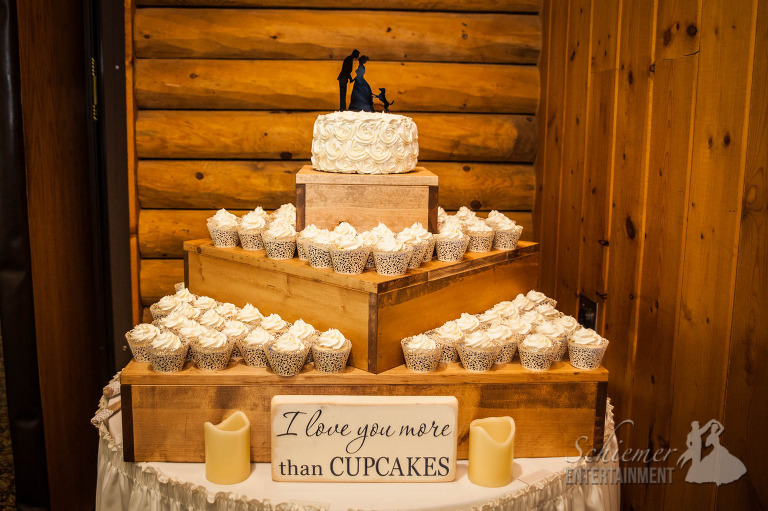 Talk about customizing your special day to match your style! Erin and Andy have fun and varied musical tastes. 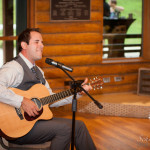 This was great fun for me, since I had the opportunity to play songs that aren’t typically part of every reception. 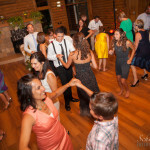 It was great seeing the newlyweds and their friends light up as their favorite songs would start playing. 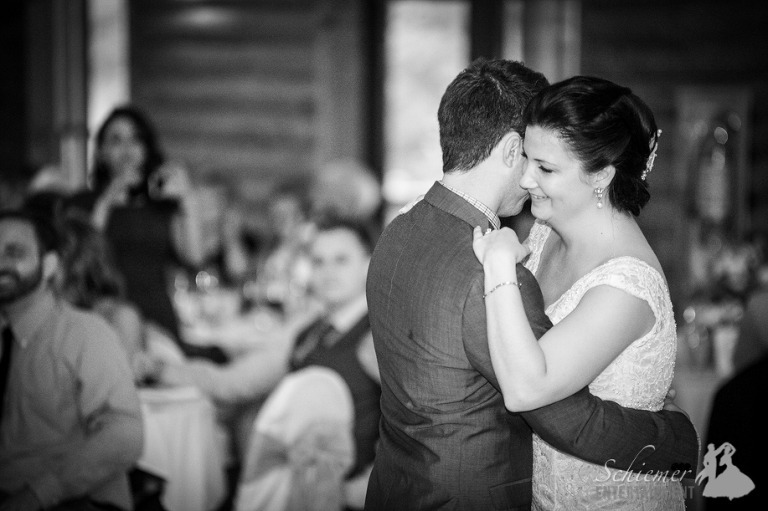 One of my favorite moments of every reception is the couple’s first dance. I loved seeing Erin & Andy have a few quiet moments just to themselves. 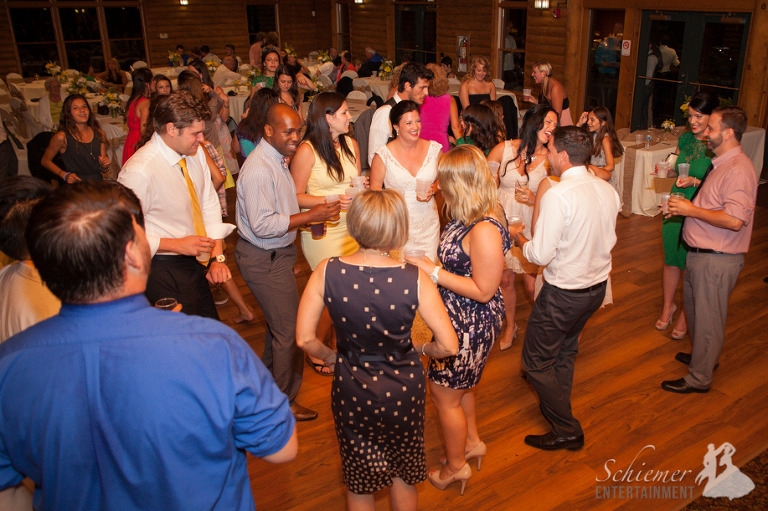 Of course, every great reception has great dancing. It was such a pleasure to be part of this special day, since there truly will be no other evening quite like it. Erin and Andy’s reception perfectly suited their tastes and style, and was a unique and elegant night for all of their friends and family. The newlyweds headed off to Hawaii to begin the next special chapter in their lives together. Like most DJs, I don’t get to see many wedding ceremonies. Most of the time I only get to be part of the big day after the biggest moment has already happened. I love when I get the chance to witness, and even play a part of, the wedding ceremony. I was given the pleasure of providing a sound system and music for the beautiful outdoor nuptials of Megan O’Bryan and Peter Madsen. The weather was perfect at the Mayernik Center in Avonworth Community Park, Pittsburgh, PA.
Megan and Peter were married on the grassy area outside of the center. Their officiant included touching details about the couple’s relationship which made the ceremony very personal and special. Instead of name cards, each guest was given an empty box with their table assignments. Each guest then visited the candy buffet to load up on treats. I love how they made all the candies match the colors of the day! The music throughout the day was romantic and fun. 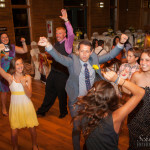 Megan and Peter gave me flexibility to keep their guests happy, but made some really fun requests to help make the day unique. Megan and Peter have known each other most of the their lives and are now completing med school together. The bond they share was clear to me the first moment I met them. 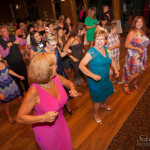 Once it was time to dance the guests hit for floor for great music from every genre. Megan & Peter’s guests and family were extremely friendly and tons of fun. At the end of the night no one was ready to leave, it had been such a perfect day it was sad to see it end. The newlyweds are now off to St. John’s to rest up for their next adventure together. On Saturday I played at the ceremony and reception of April Riggins & John Ford held at the Mayernick Center in Avonworth Community Park. I love the opportunity to participate in the ceremony and they had a beautiful day to exchange their vows outdoors. The Mayernick Center is a beautiful venue and an excellent staff. The center’s coordinator, Meghan, did an amazing job keeping everything running smooth all day, made it so pleasant for everyone. 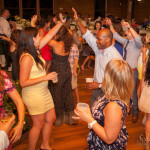 April and John picked some great music for the entire day and their friends and family really seem to enjoy the wide variety. 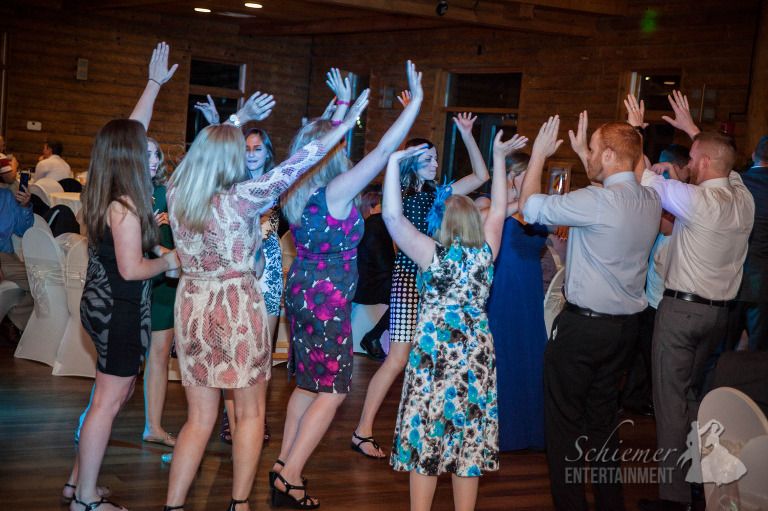 April and John were completely relaxed and it was clear that they were out to have a great time with their guests. Everyone had an awesome time celebrating with the newlyweds, it was a pleasure for me to be there and be a part of their wonderful day.